The Science of Hormones. The Sign and Symptoms of Low Testosterone. Hormones play an integral role in the function of the human body. For both men and women, maintaining optimal levels of hormones is essential for mental and physical health. However, there are many ways in which these levels can waver and lead to issues, especially when the body begins to age. While aging is an inevitable part of life, the complex systems in the body nonetheless experience unwelcome and often uncomfortable symptoms throughout the process. The endocrine system, which is responsible for the regulation of hormones, is both intricate as well as prone to issues when it ceases to run like clockwork. A number of organs play a critical role in the endocrine system, including the pancreas, thyroid, pituitary glands, as well as the hypothalamus. When the system stops running correctly, the result can be a number of side effects that can lead to both physical issues as well as fatigue and even depression. Just like with other anatomical systems within the body, the endocrine system runs in an intricate feedback loop, which is commonly referred to as “hormonal axes”. When hormones are at a certain level, they inform the brain as well as the glands and facilitate the regulation of functions within the body. When running properly, this loop allows for helpful interactions between the adrenal glands, the hypothalamus, and the pituitary glands. Known more specifically as the neuroendocrine system, this process is responsible, among other things, for the regulation of stress, digestion, sexual desire, moods, and the immune system. As you can imagine, when hormone levels are reduced or disrupted, the results can be far-reaching. In men, there are a number of hormones that can directly influence their health and well-being. 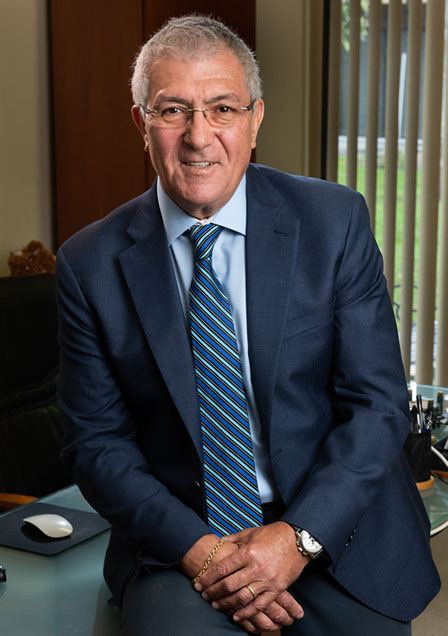 As a physician who specializes in providing hormone replacement therapy for men, Dr. Mikhail Berman is highly familiar with all of these pertinent hormones. Among those of particular interest to Dr. Berman are testosterone, DHEA, melatonin, cortisol, estrogen, and growth hormone. All of these hormones participate in a delicate and intricate balancing act within the body, ensuring that optimal health is maintained and the body functions as it should. Maintaining the hormones and proper balance within the body is of the utmost importance to the men in Dr. Berman’s care. By ensuring that hormone levels are optimal, Dr. Berman is able to help his patients live a fuller, healthier life that is not disrupted by unpleasant symptoms such as insomnia, low libido, and gynecomastia. Along with providing hormone replacement therapy, when needed, Dr. Mikhail Berman offers patients detailed advice and guidance as well as specific tools that can help patients adjust their lifestyles, diets, and exercise habits in order to encourage improved endocrine health and function. Why are Male Hormones So Important To Men? Male Hormone Replacement Therapy for Men? What is Male Testosterone Replacement Therapy? What are Male Weight Loss Programs? Can Low Testosterone Cause Male Weight Gain? What are Male Thyroid Hormones? Dr. Mikhail Berman is an experienced and licensed medical doctor who is well-versed in issues with male weight gain and testosterone. Dr. Mikhail Berman monitors male thyroid hormones closely and works hard to identify any and all issues present in the endocrine system.